KIEV, Ukraine -- Most of the Kiev city residents would like to see Mayor Leonid Chernovetsky out of his office immediately, according to a March 27-29 poll of 1,000 residents conducted by the Gorshenin Institute, a consultancy. Some 80 percent of those polled said they would like the mayor to resign without delays, while even more people – 89.1 percent – were unhappy with his work. Only 6.9 percent of those polled gave a positive evaluation to his work. About 15 percent were undecided. If the city mayoral election was to be conducted next weekend, Deputy Prime Minister Serhiy Tigipko would be the most likely winner. He would receive 30.6 percent of votes, while city’s opposition leader Vitaly Klitschko would get 22.4 percent. 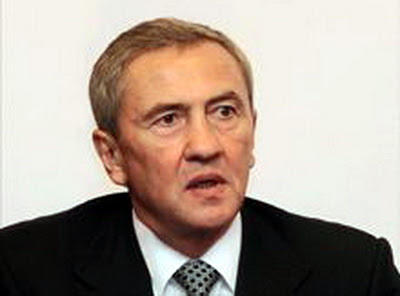 Former Mayor Oleksandr Omelchenko would come third with 8.2 percent of votes. The Gorshenin poll was conducted by phone according to a representative sample. The margin of error is 3.2 percent.